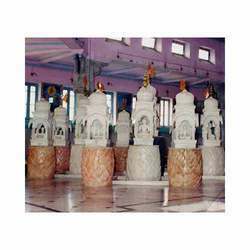 Carved from high quality marble, our Devotional Idols come in a wide variety of designs and sizes. With sharp facial features, these idols arouse a feel of devotion in the devotees. The different idols are offered in various postures, colors and sizes. 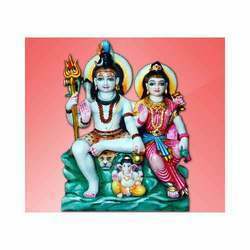 With a lot of importance on the finesse as well as beauty of the idols, we bring for our clients a wide range of Shiv Parvati Idols. These idols also have a small figure of Lord Ganesha carved on them. The colors are used in an attractive manner to give an eye catching look to these Shiv Parvati Idols. We have designed and carved an exquisitely designed pieces of ram Bhakt Hanuman (i. e. Devotee of Lord Ram). 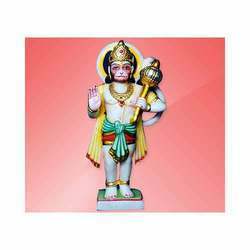 Our Hanuman Idols are carved out of superior quality single block of marble. Offered with smooth edges and shine that gives them a unique shine. These Hanuman idols are available in standing posture with a gadaa in one hand and with one hand blessing his devotees. Lord Ganesha, son of lord Shiva & Goddess Parvati is worshiped as the remover of obstacles. 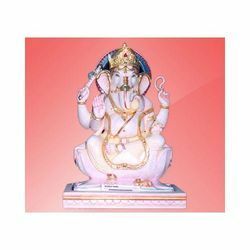 Our Ganesh Idols are available in size different s and are made using high quality marbles. These Ganesh Idols are carved and painted to give them a unique and realistic look. We have the required expertise in designing an extensive range of Small Devotional Idols. These idols are perfect for small temples or to be kept at homes. The finish and polish given to these Small Devotional Idols come in different designs and postures. With striking glaze on the face, our goddess Durga Idols arouse a feel of devotion. 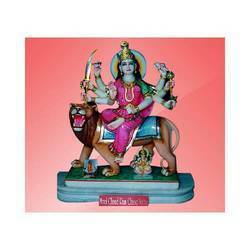 These idols come in different color combination to suit the varied choices of devotees. These Durga Idols are made using high quality marble that come in varied sizes. Seated on a fierce looking tiger, our range of Maa Durga idols have a dazzling shine on her face. We bring for our clients our exquisite pieces of Kaali Maa Idols. These idols are true reflection of goddess Kaali. 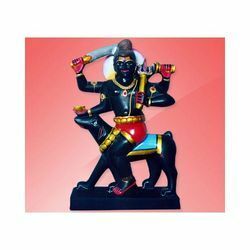 Carved from black color sandstone or marble, these Kaali Maa Idols have smooth finish. The jewelery and garments of goddess Kaali are painted in attractive colors to enhance the beauty of the idol. We bring for our clients a wide range of Sai Baba Idols that come in different sizes. The artists creativity and brilliance in this field is reflected through finesses of these idols. The different facial feature or expression on Sai Baba's face is carefully carved as if to infuse a life into these idols. Depicting the creativity of our artisans, our range of Saraswati Idols come in a wide variety of sizes. 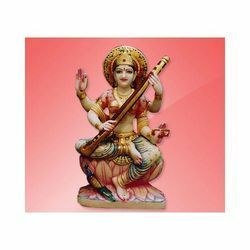 These Saraswati Idols are carved from high quality marbles that is polished and finished to give them an eye catching look.